Supported by socialists everywhere, the reform quickly prompted accusations of an anti-business agenda, sparked an exodus of high-profile personalities (France’s richest man, Bernard Arnault, the chief executive of luxury group LVMH, took out Belgian nationality, and the actor Gérard Depardieu also moved across the border to Belgium before obtaining Russian citizenship), sent local stocks tumbling as investors pulled out of France, and local real estate prices plunged. Worst of all, however, French finance ministry studies showed that despite all the publicity, the sums obtained from the supertax were meagre, standing at €260m in 2013 and €160m in 2014, and affecting 1,000 staff in 470 companies. Over the same period, the budget deficit soared to €84.7bn. And so, two years after it was introduced, on January 1, 2015 the French 75% tax quietly disappeared into the history books. We bring all this up because the next country where an almost identical experiment in socialist wealth redistribution may be attempted is… the United States of America. 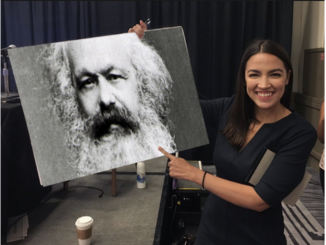 While both Democratic Socialist Alexandria Ocasio-Cortez and her Republican critics have called AOC’s proposal to dramatically increase America’s highest tax rate “radical”, according to a new poll released Tuesday indicates that a majority of Americans agrees with the idea. The latest The Hill-HarrisX survey conducted on Jan. 12 and 13 after the newly elected congresswoman called for the U.S. to raise its highest tax rate to 70%, shocking found that a sizable majority of registered voters, 59%, supports the idea. While Ocasio-Cortez has not introduced any legislation – yet – to enact the concept, the survey shows that just like in France, a broad cross-section of Americans supports it at present (said majority probably needs to read up on what happened in France after an almost identical tax was implemented 6 years ago). The “radical” proposal was popular with both sexes: women support the idea by a 62-38 percent margin, while a slightly smaller majority of men back it as well, 55 percent to 45 percent. What is maybe even more surprising is that the proposal is popular in all regions of the country with a majority of Southerners backing it by a 57 to 43 percent margin. Rural voters back it as well, 56 percent to 44 percent. The surprises don’t end there: increasing the highest tax bracket to 70% has a surprising amount of support among Republican voters. In the Hill-HarrisX poll, 45 percent of GOP voters say they favor it while 55 percent are opposed to it. Independent voters also backed the tax idea by a 60 to 40 percent margin while Democrats were clearly the most in favor, supporting it 71 percent to 29 percent. 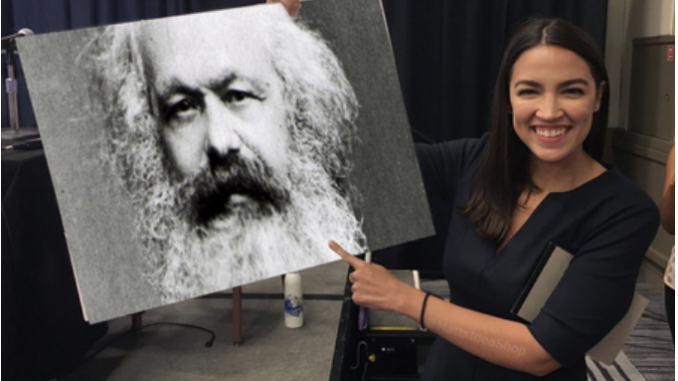 Ocasio-Cortez has spearheaded a group of progressive legislators – which includes Sen. Bernie Sanders – who have called for increasing federal income tax rates on wealthier Americans. 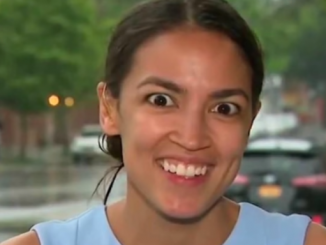 The New York Democrat kicked off a debate within her party in a Jan. 6 interview with “60 Minutes” during which she said she would support setting the highest tax, which she said would kick in at individuals 10 millionth dollar of income, at 70%. That’s because 50% of the people don’t pay taxes. What they don’t understand is bracket creep when inflation goes up tax bracket creep down into that 50%. I want to see their faces when the get their first tax bill. Idiotic 59%. The rich can easily relocate.